Homestead Inspections Services, Inc. is dedicated to you and the purchase of your home. Allow our experience, flexible scheduling, expert service, clear communication and reporting to benefit you as the buyer in making a well informed decision. Is fully state licensed, certified and insured. Schedules appointments 7 days a week. 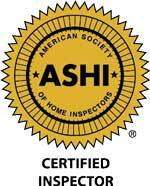 Received Certified Inspector status from the American Society of Home Inspectors. Requires passing stringent evaluations determining our reports are compliant with the highest industry standards. Has been serving home buyers and sellers of residential properties since 1998. Provides clear and open communication with clients. Keeps up to date with the most current industry standards through annual continuing education. Is dedicated to the best interest of our clients.